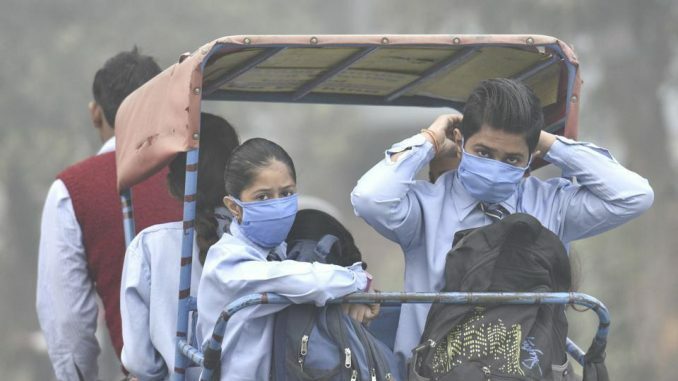 More than 660 million Indians live in areas that exceed the country’s standard for what is considered safe exposure to fine particulate pollution (PM 2.5). To help improve India’s air quality, researchers from the University of Chicago and Harvard Kennedy School have laid out five key evidence-based policy recommendations in a new report, released on Monday, titled ‘A Roadmap Towards Cleaning India’s Air’. The group’s recommendations include improving emissions monitoring by better aligning incentives of auditors, providing regulators with real-time data on polluters’ emissions, applying monetary charges for excess emissions, providing the public with information about polluters, and using markets to reduce abatement costs and pollution. If India were to achieve its own air quality standards, life expectancy would increase by more than one year on an average, says the 16-page report. This number would increase to four years if India were to meet the World Health Organisation’s (WHO) norms. “Air pollution is causing hundreds of millions of people in India to lead shorter and sicker lives,” said Michael Greenstone, Milton Friedman Professor in Economics and Director of the Energy Policy Institute at the University of Chicago (EPIC) and the Tata Centre for Development at UChicago (TCD). EPIC-India researchers have developed the air quality life index (AQLI), a metric that provides a means to predict the overall reduction in life expectancy caused by living in places with high levels of air pollution. Some of the greatest gains would be seen in big cities such as Delhi. There, people would live six years longer if air quality met the national standards.